In a time long since forgotten by human eyes and lost tomes, there once existed an untamed land. A place where wickedness and righteousness were constantly at war. A world of great beasts and tiny creatures seething with magic. Join Abigail McFaoil on her quest as she battles against terrible foes, makes precious friends, and meets creatures beyond imagination. 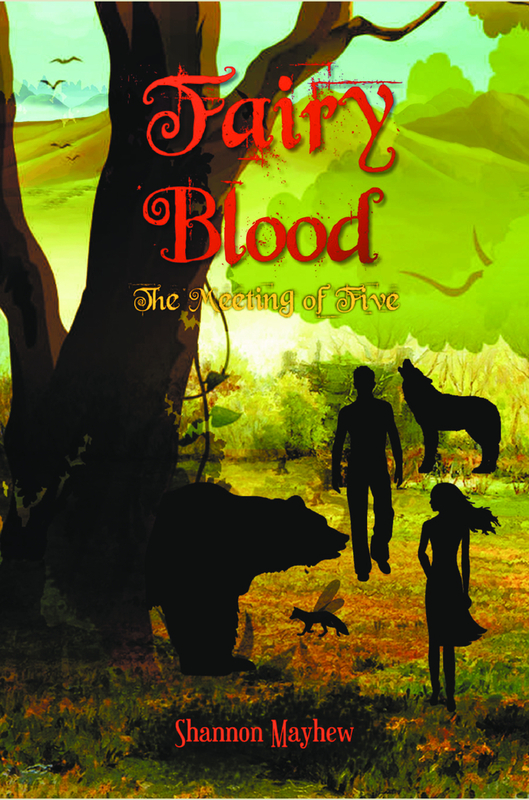 Fairy Blood takes the reader into the untamed land of Starkenshire. Abigail McFaoil is a young woman who shares the sacred heritage of the pixies; hence an outcast in both societies. When destiny calls upon her to slay one of the world's great evils, she ventures forward to smite a terrible villain. Baron Charles Byron. But is she setting her sights too high in order to impress her father and the rest of her clan? During her journey, she is joined by four unlikely traveling companions. Garren, rogue member of the greatwolf tribe. He has been by her side since going into exile and has become an invaluable friend. Peter Cromwell, a shy and lanky alchemist who would like nothing better than to be left alone for the rest of his mortal existence. But fate has other, less reserved plans for him. Daphne, a firebrand pixie and Abigail's aunt. After reluctantly making a promise to her sister to aid the young woman on her quest, she comes to regret this decision immensely. For the most part. And finally, Twig, a lovably bumbling brown bear. After being both enchanted and gifted with speech by Daphne, Twig now serves as Abigail's loyal steed for the duration of their journey. Together with her new traveling companions, Abigail will embark on a journey of the unexpected.